SPECIAL OFFER - Get Google Maps and 50+ Premium Plugins for $100!in One Big Bundle! 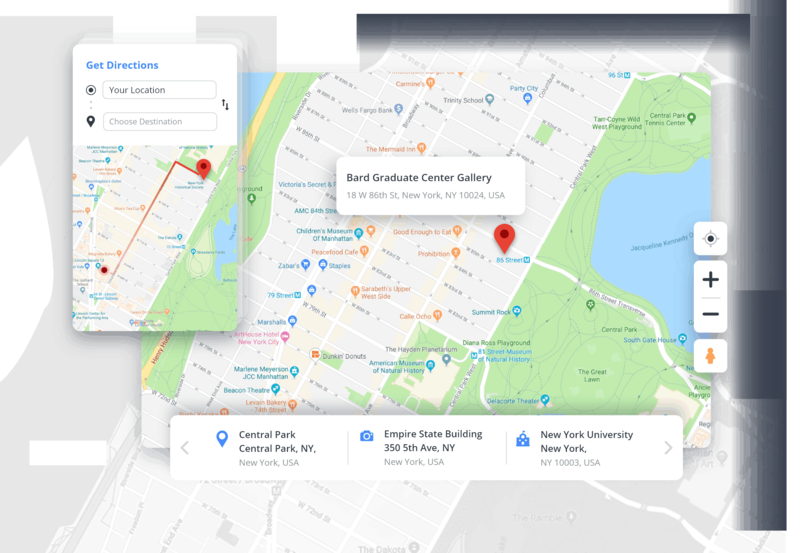 Add responsive and fully configurable Google Maps to your website and let your visitors know where you’re located. Is setting up an advanced map complicated? Do you struggle creating your customized map? Are you worried about the look of your map? Do you have hard time dealing with map markers? Effortlessly create advanced maps without a line of code. Add multiple layers for bicycle, transit and traffic, or advanced GeoRSS, KML URLs, and Fusion Table Id layers. Choose from the marker icon list or create your own icon. Display multiple places within a specific radius. Create responsive maps to suit screens of all shapes and sizes. Design your map manually or use one of the 6 ready themes. Add as many many maps as you need with unlimited markers on each. Add direction search on your map for driving, bicycling, walking and transit. Smoothly configure control settings and choose their position on the map. Add Basic, Advanced or Carousel marker listings to showcase marker details. Choose the type of your map - road, traffic, satellite, terrain or hybrid. Organize your markers into categories for easy navigation. Mark your place on the map by adding shapes like circles and rectangles. Export and import your markers and shapes in xlsx format. Group close markers for higher user-friendliness. A very good plugin! I was looking for a long time for a google-maps plugin. I finally decided to buy Google Maps. And it was very good decision! The plugin has very different features an the price is not to beat. But the best is the support: Very friendly, very quick, very competent. They even made for me a special feature. WOW! I never had that before! Thanks for a great product and an excellent support! I will buy more plugins. This map plugin is totally worth your time and money. It is pretty easy to set up with its default wizard, all changes are visually available and you get as many maps as you want for your pages and posts. Too bad there is no option for 5+. This is a great plugin to insert Google maps on a website. It has a lot of features especially to adjust the design. You can create different maps, markers and themes and adjust all colors in the map, set the controls to handle the map like zooming, map types, fullscreen and streetview and much more. I don’t miss anything. The support is also very fast and competent.